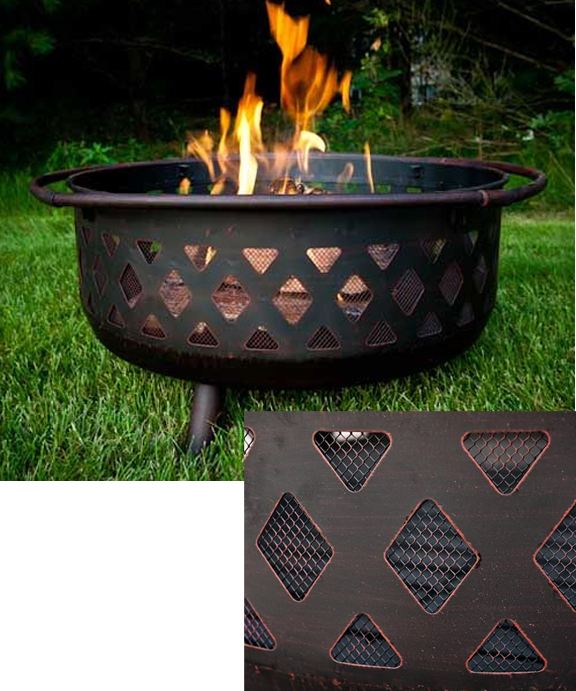 Our Large Crossweave Firebowl Fire Pit is a great addition for your outdoor living areas. It comes with a spark screen, grate, poker and cover to protect the fire pit when it’s not in use. 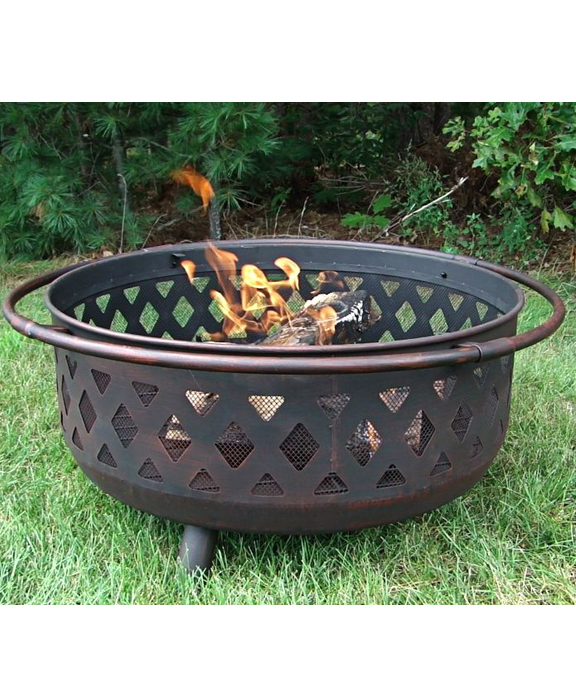 It’s durably made of steel with an attractive rubbed bronze finish. 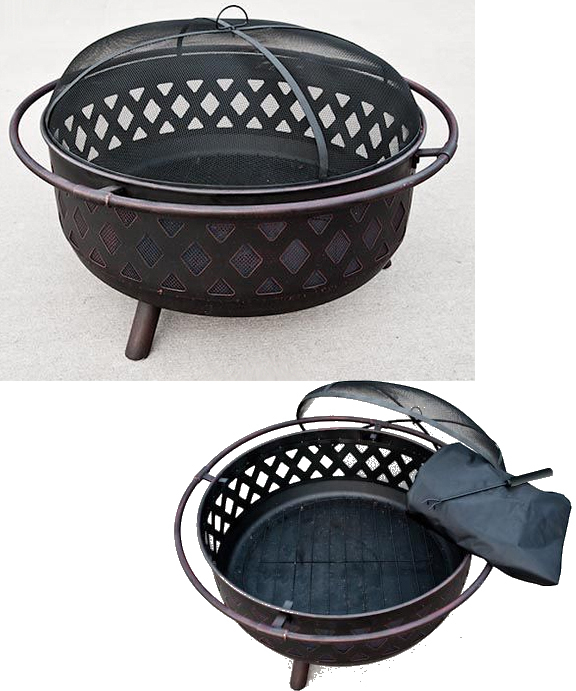 With a 2.5 inch protective ring around the outside of the pit, a 23 inch, 9-inch deep fire bowl had decorative vents that make fires easier to start and burn more evenly. Made for wood only, it can hold large, long-lasting fires that are easy to tend.